I enjoy reading stories about people who fail miserably in life. Maybe I’m a horrible person and it makes me feel better about myself, I don’t know. More importantly, I learn more from reading about the losers than the winners. In amateur tennis, 80% of the points are lost. Meaning a player gets nothing but net or hits the ball out of the park or… whatever, I don’t play tennis. You beat an amateur by screwing up less than the other guy. You beat an expert by first not screwing up, then executing expert moves. The same is true for wrestling, chess, and investing. And companies. 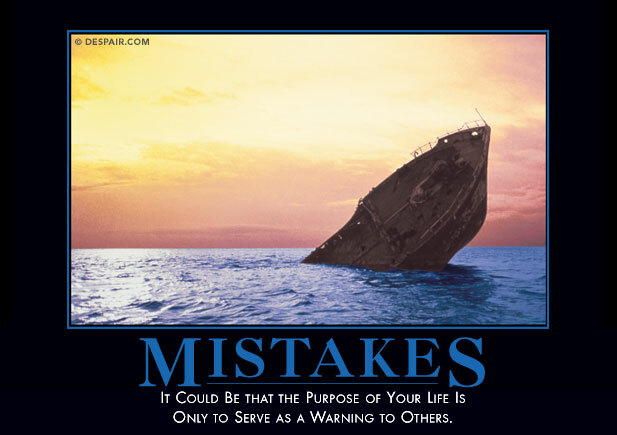 The best way to build a successful startup is to not make a suicidal mistake. Runaway success stories don’t teach you how to avoid amateur mistakes. They present expert moves in singular threads that happened to avoid fatal flaws. In telling the tale of Apple, it’s easy to focus on Jobs’ brilliant design, but then overlook the part where Apple *doesn’t* blow all its cash on marketing. Besides, one data point is an anomaly; two is a coincidence; three is a trend. Go find three successful companies that followed the same formula. You won’t. But it’s easy to find multiple companies that followed each other to failure. And then look at all the companies that became wildly successful, only to wither away. Groupon. Yahoo. Dell. Sun. Blockbuster. Kodak. And so on. One sure way to fail: Rely on the same successful technique forever. Once we’re past the point of not doing things wrong, only then is it possible to start thinking about doing things like an expert.